I want to let you in on a little secret about holiday entertaining…it doesn’t really matter what you make as a main dish because people fill up on appetizers. Did you already know that? I learned that hard way but now that I know it, I can prepare accordingly. I always take this into account when creating my menu for holiday entertaining. You want a variety of cold and warm appetizers and finger foods are the best. 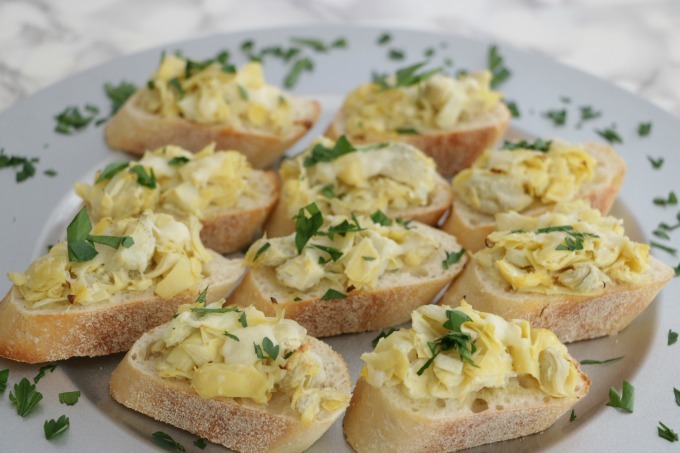 This recipe for artichoke crostini with Stella cheese is great because you can prepare the artichoke mixture in advance and pop them in the oven for five minutes right before your guests arrive. 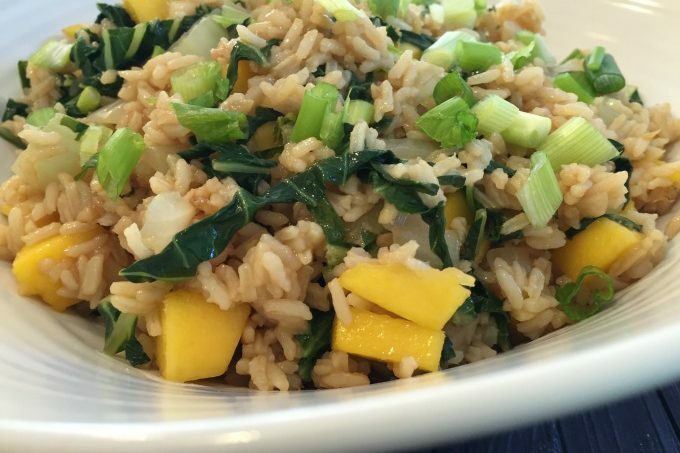 Start by making your artichoke mixture which takes just a few minutes. 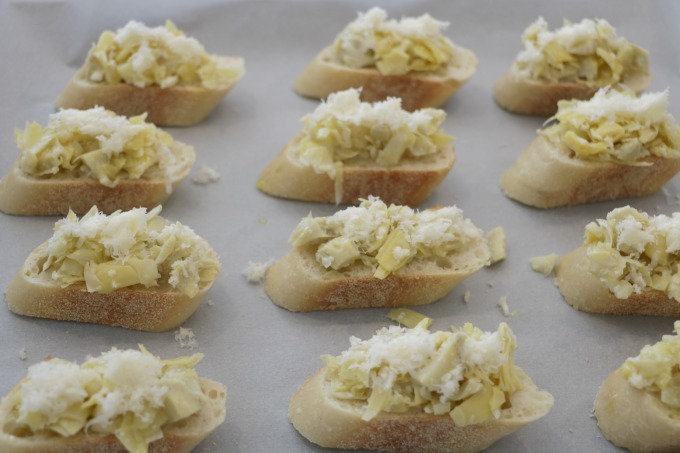 Combine chopped artichoke hearts, lemon juice, minced garlic, olive oil, shredded Stella asiago cheese and seasonings. Slice half of a baguette and arrange the slices on a baking sheet. 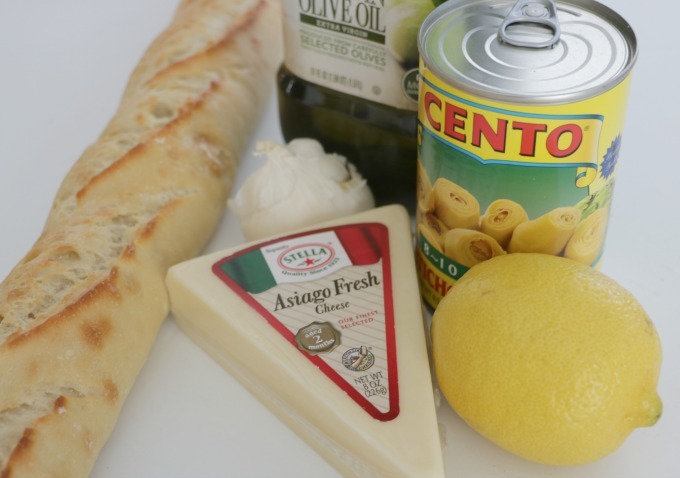 Brush the slices with olive oil. 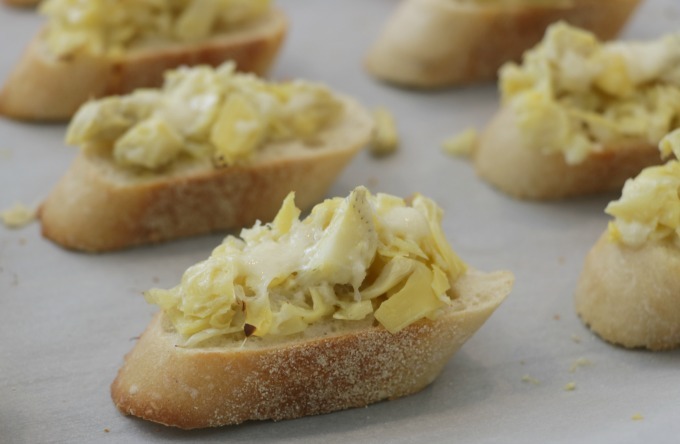 Then top each slice with a spoonful of the artichoke mixture and top them with some of the shredded Stella asiago cheese. Bake those for five minutes. When they come out of the oven the cheese will be melted and they will smell delicious. Top each crostini with chopped parsley and watch your guests enjoy them. 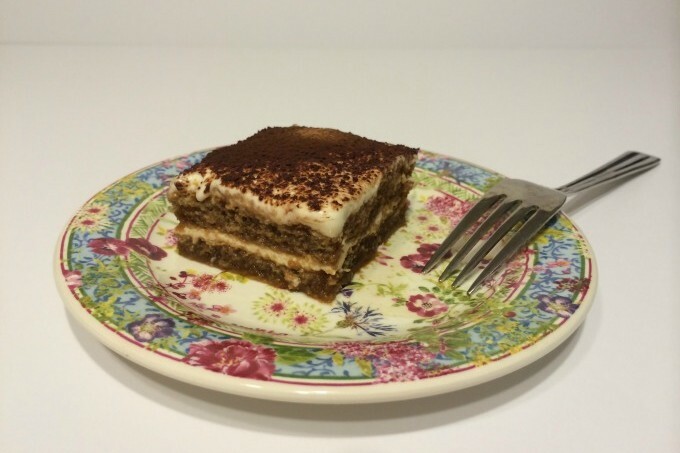 I guarantee these will go quickly so you may want to make a big batch. Stella cheeses are flavorful and combine old world craftsmanship with rich dairy heritage, dating back to 1923. From shredded to crumbled and sharp to sweet, you are sure to find the perfect cheese for your holiday entertaining needs. Preheat oven to 400. Combine artichokes, garlic, lemon juice, 1 tablespoon olive oil, 1/4 cup asiago cheese and seasoning. Arrange baguette slices on a baking sheet. 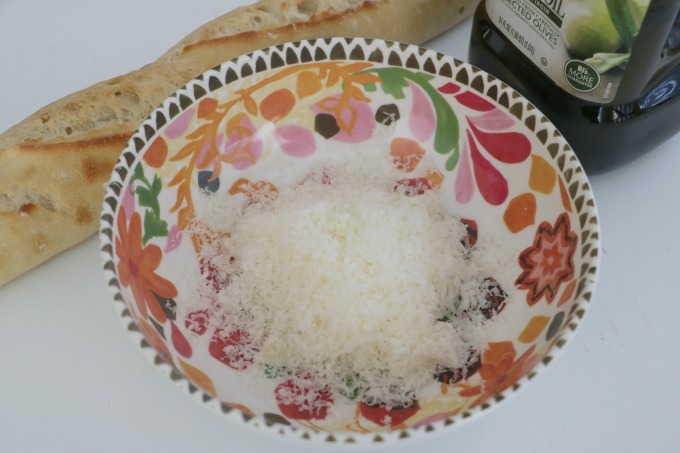 Brush each slice with olive oil. 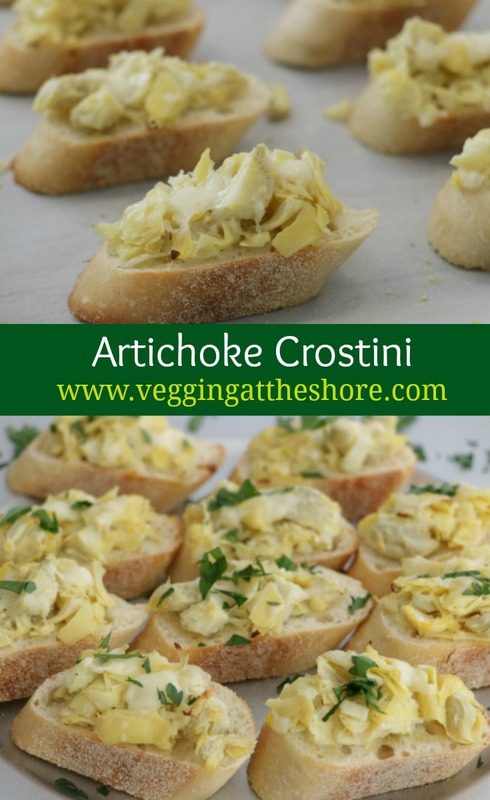 Top each slice with a spoonful of the artichoke mixture and top with a sprinkle of asiago cheese. Bake for 5 minutes. 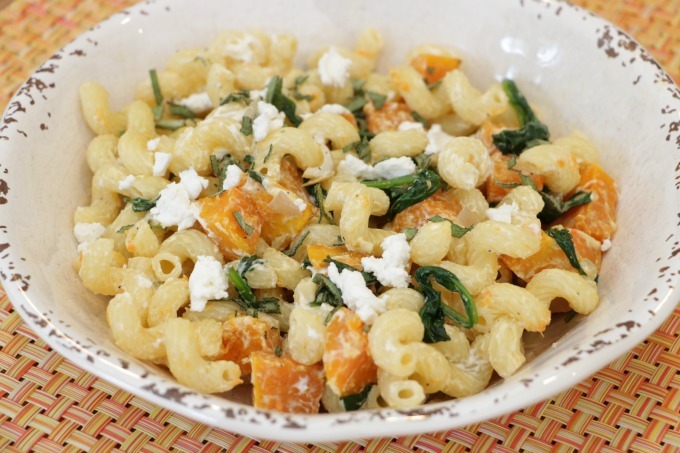 Top each slice with chopped parsley.